While many parts of North America are still in the grip of winter I have been preparing for spring and summer by tasting Chardonnay. 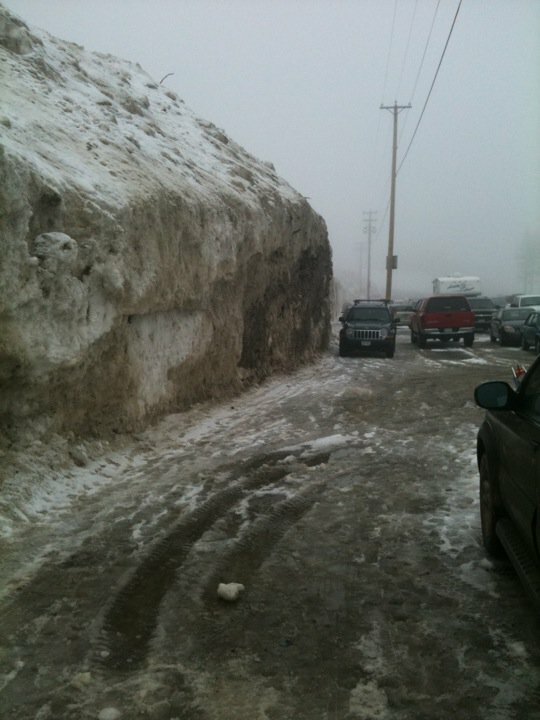 That way, when everyone else finally thaws out ( I live in Phoenix ) they will already have some Chardonnay “inception” on the brain. Let’s get started! The vast Central Coast region of California stretches 250 miles from Santa Barbara County all the way up to San Francisco . The massive region encompasses 6 Counties and 26 different sub A.V.A’s (American Viticultural Area). There are more than 90,000 acres of vines planted in the Central Coast and about half those acres are Chardonnay. One of those sub AVA’s is The Santa Lucia Highlands which is located about 30 miles east of Monterey, California overlooking the Salinas valley, the same Salinas valley made famous in many of John Steinbeck’s novels. Mer Soleil Vineyard is located on the southern end of the AVA and is named after the influences of the Ocean (Mer) and the Sun (Soleil). The Mer Soleil vineyard is actually part of the Wagner family of wines. The Wagner family has a very long history of wine making in California, and just in case you still don’t know who they are…have you heard of Caymus? Now we’re talking! 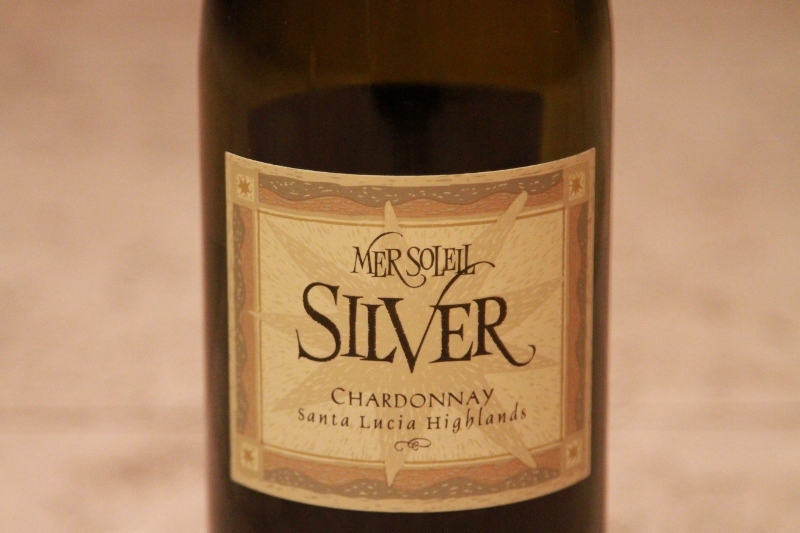 Mer Soleil makes two styles of Chardonnay, oaked, and unoaked (Silver). Mer Soleil Silver is fermented in cement and stainless steel tanks and does not undergo Malolactic fermentation. The vineyard subscribes to the agricultural practice of crop rotation and according to the vineyard nearby lemon orchards is impart their flavor profile of the wines. Mer Soleil’s website has little to offer in terms of technicals on their wine, so I have no information on total production, brix ect. But it does let us know a little about the style. A mix of Chablis like minerality and tropical fruit. I found the wine to be rich, with solid acidity, and slightly riper than I expected, which was pleasant. Think lemon and grapefruit. The wine is dry and has a nice big mouthfeel. The alcohol weighs in at a hefty 14.8% but don’t let that scare you, its really well balanced with the fruit and I didn’t detect any off putting “heat” from it. Mer Soleil Silver retails for around $20 a bottle. Are you tempted by the cake?? You might have seen Layer Cake’s eye catching label, a nice big slice of layer cake, and you might have been tempted to buy the wine purely on that association and I forgive you for that because I bought their wines for the same reason! Laker Cake’s 2009 Central Coast “Virgin” Chardonnay’s fruit is sourced from two vineyards within the Central Coast AVA; Monterey and Santa Barbara. Chalone Vineyard 2009 Monterey Chardonnay. Chalone Vineyard Estate is the oldest winery in Monterey County, and is the only winery in the Chalone AVA. Chalone received international critical acclaim in the Judgment of Paris, 1976 earning 3rd spot out of 10. As different as Layer Cake was to Mer Soleil, Chalone is to both of those wines. Chalone makes wine very much in the French, Burgundian style. The grapes are sourced from the northern portion of the Salinas Valley, in the Arroyo Seco AVA. The soil consists largely of limestone which gives us a clue to the Burgundian connection. By “Burgundian” I mean terroir or specific place driven wine as apposed to producer driven wine such as Bordeaux. Chalone’s Monterey Chardonnay is also relatively light when compared to the typical Chardonnays of Napa Valley, the alcohol comes in at 13.5% This wine, in contrast to the other two, saw 6 months in a combination of French, American and European oak. Light on the oak, but enough to soften the crispness of the mountain fruit a little, as well as add another layer of complexity not found in the other two wines. This wine retails for around $10 which is actually an amazing deal. See more photos of this event on the Weekly Wine Journal’s Facebook Page! I recently met Louisa Sawyer Lindquist at a dual wine tasting at AZ Wine Company in Scottsdale Arizona. I say dual because along with her wine company, Verdad Wines, we were also tasting her husband’s wines, Qupe. A husband and wife dynamic wine duo, sounds like the perfect relationship right? Her husband is Bob Lindquist, one of the “Rhone Rangers”. Louisa really knows her stuff, she is not just a salesperson parroting the wine makers comments. At this tasting she was quizzed by some skeptical consumers and someone actually doubted her! She but it bluntly and something to the effect of “I know what I’m talking about, and I know how this wine was made, I MADE IT MYSELF”. I love it when wine snobs get put in their place. Here is a short video of Louisa, enjoy! Aging: 18 months in American and French Oak, 50% new french oak. 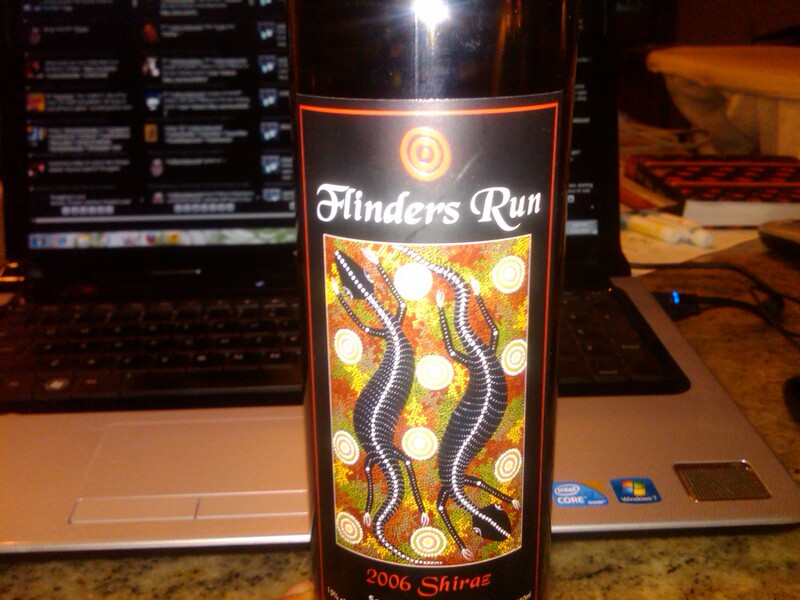 I am always up for trying out a new Shiraz, so when I noticed Flinders Run on the shelf at my local wine store, it caught my attention. I always resist buying wine on the label, so I picked up the bottle looked at the interesting label and put it back down. Well I kept seeing it sitting there every time I was in the store, just staring at me..the wine bottle with the googly eyes! I noticed the appellation, Southern Flinders Ranges. Interesting I thought, I am used to Barossa, Hunter, Claire, McLaren, Coonawarra, Padthaway, but I don’t often come across a wine from the Southern Flinders Ranges. I whipped out my smartphone, and noticed a 92 point rating from Stephen Tanzer, and 91 points from Wine Spectator. I also noticed that the Southern Flinders Ranges region is located next to the Claire and Barossa valleys and I have enjoyed a lot of wines from both those regions. One thing I couldn’t find was the winery’s website. But I picked up a bottle anyway, let’s cut to the taste shall we? This wine is decadent, hedonistic yet well-balanced. If you like a big juicy and spicy this is the wine for you. As far as complexity, this wine keeps it fairly simple, sticks to what it’s strengths are. If you are looking for a complex one minute echo of a finish, this wine doesn’t have that, and you will probably need to spend a minimum of $50 for a Shiraz that does. I would liken the flavor profile to the wines of the Barossa Valley, yet without the earthy component that they sometimes have. All in all, a good effort. I think that 91-92 points would be an accurate rating. I met Justin and John from Page Springs Vineyards and Cellars at the Tempe Festival of the Arts Wine Tasting Event. 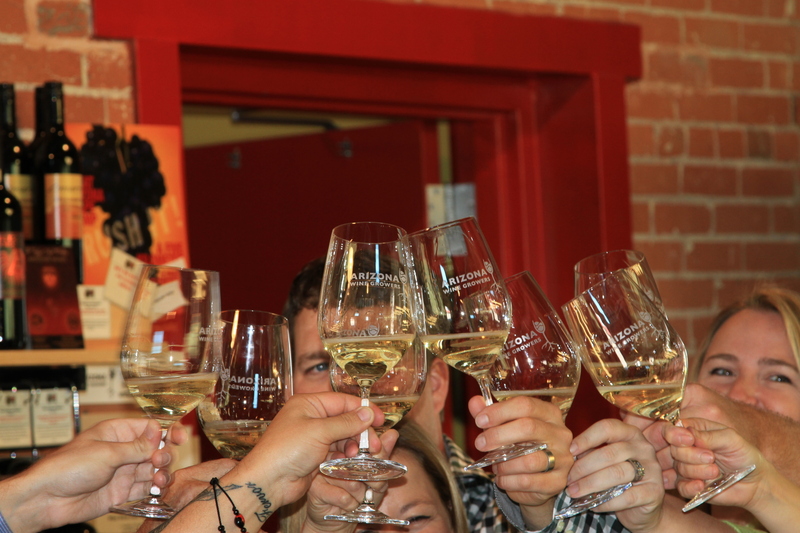 The event was sponsored by the Arizona Wine Grower’s Association. I liked their sense of humor, it was quite sharp for 10:30 a.m. on a Saturday morning! This is part 3 of a 3 part series of an interview with Gary Loring, partner and winemaker for Loring Wine Company. In this segment Gary talks about how much of an influence Terroir plays, and how much of an influence clones are. He also tells us about some very special projects on the horizon, like a 300 case production Chardonnay and an even smaller production Cabernet Mouvedre blend. Rhonni Boss-Moffit the Executive Director of the Arizona Wine Grower’s Association took me on a tour of the wine tasting event held at the Tempe Festival of the arts. She talked about each vineyard, winery and what the Arizona Wine Grower’s Association is all about. Here is part 2 of a 3 part series on Loring Wine Company. In this segment Brian Loring talks about the Loring Wine Company’s style. How much fruit, how big and bold, what they are meant to pair with, and how much oak the wines get. He also talks about Garys’ Vineyard. Yes that’s apostrophe S, not a misprint, and he explains why. In the first video Brian talks about why he chose to make Pinot Noir, and about how Loring Wine Company got started.